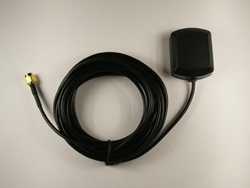 This a high end WAAS enabled GPS receiver perfect for APRS trackers, like our ExpressTracker, the ADS OpenTracker series and Byonics TinyTrak series. No need to add any adapters, the installed DB9 connector is already pinned and ready to plug right into your tracker. This receiver requires +5VDC for supply power, so make sure your tracker is jumpered properly. 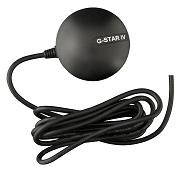 - This is the antenna ONLY, not a complete GPS receiver.